As Spring Training winds down, we all certainly have changed our opinions on some players. Some used strong springs to catapult themselves up depth charts and roster predictions, while others have fallen out of favor. Either way, the Dodgers will still only be able to carry 25 players when they open the season Thursday against the Giants. Let’s take a look at some of the players who helped themselves with solid camps and others who hurt their chances of impacting the Dodgers, either this year or in the future. Note: Keep in mind that all spring stats should be taken with a grain of salt, as a month is hardly enough time to make any definitive statements. This applies even more to relief pitchers, who often face minor-league bats at the end of the game and don’t throw very many innings. All stats mentioned are current prior to Thursday night’s game against the Angels. The Dodgers entered camp with too many outfielders. Chris Taylor and Yasiel Puig are cemented into their spots on the field. Kemp returned to LA in a contract swap, and common sense led everyone to believe he’d be lucky to start the spring in LA. However, he reported to camp in tremendous shape, reportedly 40 pounds lighter. 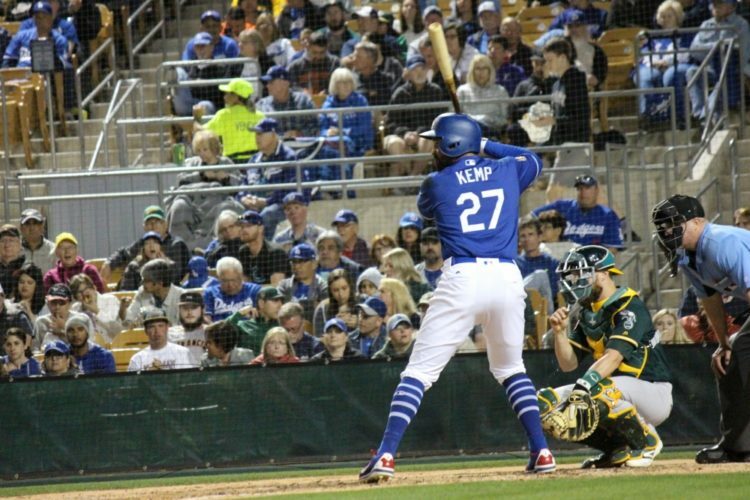 Not only is he still a Dodger, but Kemp’s strong spring has given him a chance to be in the lineup on Opening Day against Madison Bumgarner. He hasn’t been tested much defensively, but Kemp has done nothing but rake for the last month. 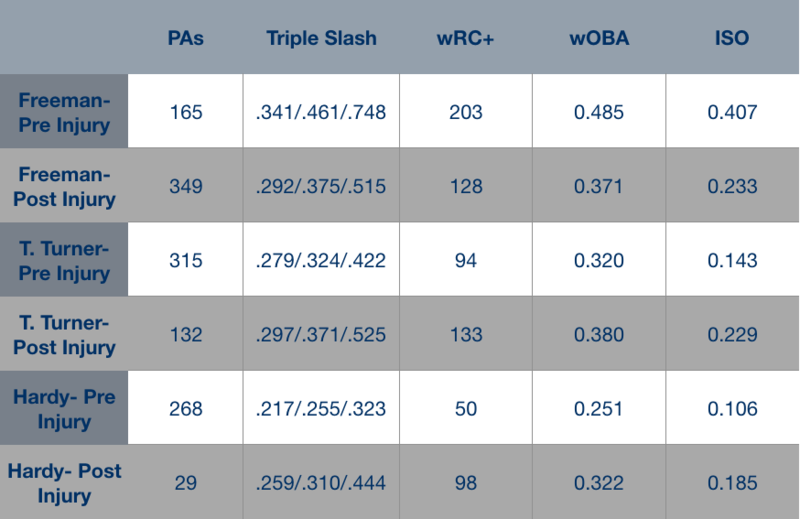 During the spring, Kemp has a triple slash line of .302/.340/.628. Six of his 13 hits have gone for extra bases and his four home runs are the second-most on the team. If he’s on the roster, Kemp could be the primary left fielder against left-handed pitchers. His platoon partner, in all likelihood, would be Toles. As a speedy player, Toles’ success was going to be dictated by how well he returned after tearing his ACL last May. He hasn’t missed a beat this spring, as he holds a .302/.304/.581 triple slash line. He’s struck out 13 times and walked only once, which is something he’ll definitely need to work on. He also has been thrown out on two of his three attempted stolen bases, but it’s good to see that he’s been aggressive on the basepaths. Seven of Toles’ 13 hits have gone for extra bases. Pederson had a rough 2017, headlined by a demotion to Triple-A OKC in August. He was included on the postseason roster for the NLCS and World Series, where he was seemingly the only Dodger who could buy a hit against Houston’s pitching. In the World Series, Joc went 6-for-18 and hit three home runs, which is more than he hit in his final 115 plate appearances of the regular season. Despite that strong World Series showing, Pederson came into the spring needing to prove himself worthy of his roster spot with Toles coming back from injury and Kemp’s unexpected acquisition. He hasn’t exactly done that, as he’s hitting just .178/.245/.311 this spring. He’s struck out in nine of his 49 plate appearances and only has one home run so far. His defense has looked better in the spring, but unless his bat catches up, it’s tough to see him spending much time on the major league roster early on. Toles has proven himself more than Pederson has, and as long as his knee is healthy, he be locked into that primary left-handed outfield spot over Pederson. Seemingly everything Forsythe does is quiet, so it makes sense that he’s quietly been excellent at the plate this spring. Logie Bear has a .357/.400/.643 line in 30 plate appearances and already has a third as many home runs (two) as he did all of last season. While Forsythe struggled for much of 2017, his hot stretches were excellent and his poor stretches could be explained by two lower-body injuries he suffered early on. Allan wrote a lot of smart words on that here, and this is an exceptionally important part of that. Basically, outside of these two bad stretches, Forsythe had 253 PA (nearly half a season) over which he slashed .282/.399/.393 for an OPS of .792. In his last two years with Tampa Bay where he was a 3-4 win guy, he averaged .273/.347/.444 for an OPS of .791. I understand how that could be considered as nitpicking — removing the bad sections from a season. However, I think both of those stretches were not indicative of his true talent level, primarily due to injury. Forsythe’s value to the Dodgers skyrocketed on Monday with Justin Turner‘s injury. Forsythe will likely take over Turner’s spot at third base, and if he hits a little closer to his true talent level, he could help keep the Dodgers afloat without arguably their best hitter. This was a tough call as none of the other infielders are at risk of losing jobs. Turner’s only issue is his wrist, which was broken by a Kendall Graveman fastball on Monday night. Dustin wrote about the injury after it happened with this look on similar injuries from last season. This was written before the news broke about the injury being a small non-displaced fracture, which, if I’m remembering 11th grade kinesiology correctly, seems like good news. Small injuries are better than big injuries, and I’d assume non-displaced is better than displaced. I’m throwing Semien’s injury out, as that fracture required surgery, while the Freeman, Hardy and both Turner’s did not. Here’s everyone else’s splits before and after injury. This chart should teach us a few things. Perhaps most importantly, Freeman is extremely underrated. While each player has a split that should be seen as a small sample size, it shows us that Turner is far from doomed for this season. He should be able to return healthy and maintain the production that we’re all expecting out of him, even if it takes a little time to get going. Here’s the part of the article where it gets tough to make any sweeping statements, as we’re dealing with a very limited amount of innings. However, in their limited game action, both Venditte and Chargois have looked great. I wrote about Venditte last month, looking at him primarily as a left-handed reliever. He’s continued to switch pitch this spring, and the results have been excellent so far. In 10.1 innings this spring, Venditte has allowed two runs, both coming on solo home runs. Both home runs came against right-handed hitters Chad Pinder and Francisco Lindor (who is also a switch-hitter). He’s struck out 13 batters in his nine appearances and has recorded more than three outs in an appearance three times. Venditte is still on the Major League side of things, but seeing as he’s not on the 40-man roster, it’s not easy to see a path for him to crack the Opening Day bullpen. Unlike Venditte, Chargois is on the 40-man roster. Like Venditte, Chargois has turned heads with a strong spring. In seven innings, Chargois has allowed only two hits and one run. He’s coming off a season in which he only threw 2.2 minor-league innings before a series of injuries ended his season. The Dodgers claimed him from the Twins on February 23, and with some fortuitous health, he could be a sneaky piece to their bullpen in 2018. Tom Koehler‘s injury opened up one 25-man roster spot. Before Turner’s injury, that spot likely would have gone to another reliever. However, the Dodgers’ flexibility will be tested as they attempt to replace Turner. This could force the team to carry a fifth bench spot, eliminating a potential bullpen spot for Venditte or Chargois. If their strong camps carry over to the minor leagues, it shouldn’t be too long before we see them in Los Angeles. With Tony Cingrani and Scott Alexander essentially being locked into the Dodger bullpen, a strong spring by Paredes or Liberatore could have compelled the Dodgers to take three lefties in their bullpen. This has not been the case, as both pitchers have struggled so far. Paredes came seemingly out of nowhere last year and got some run in the bullpen in September. He showed the ability to throw strikes, as he didn’t walk a batter in 8 1/3 major league innings while striking out 11. He gave up three runs in one game against the Rockies, but didn’t allow another run in the rest of his nine outings. This spring has had a familiar tone, as he currently holds a 10.38 ERA in 4 1/3 innings, However, all five runs he’s given up came in two outings. In these two outings, Paredes recorded three outs and gave up five earned runs and eight baserunners (six hits, two walks). There’s definitely talent there, but giving up 12 baserunners in 4 1/3 innings isn’t the way to win a roster spot. Liberatore is coming off an injury that cost him most of his 2017. He’s allowed six earned runs (seven runs total) in 6 2/3 innings to go along with four walks and six strikeouts. He didn’t allow a run in his first four outings, but allowed a run or more in each of his last four outings and was optioned in the last round of roster cuts. Neither lefty is doomed and both will probably see time in LA this season. However, they’re pretty clearly behind Cingrani and Alexander right now, and Venditte could jump over them as another left-handed arm out of the bullpen. These two prospects have snatched headlines in the last month. Personally, my choice would be for Austin Barnes to get a shot at second base and the Dodgers to carry Kyle Farmer as the third catcher — especially since Roberts said today Grandal will get “most of the at-bats” at catcher — but that seems unlikely. Barnes has not looked great so far this spring, but Farmer has continued to do nothing but hit. He holds a .394/.475/.818 triple slash line and eight of his 13 hits have gone for extra bases. He’s drawn four walks and struck out seven times in 40 plate appearances and has looked solid defensively. He’s played his fair share at third base in his minor league career, so rather than moving Forsythe and Barnes to different positions, the easiest solution might be to plug Farmer in at third. It still seems unlikely, but Farmer’s strong spring has given the Dodgers another option to fill in while Turner is down. While Farmer was familiar, Rios might not have been familiar to many. He’ll be in Dustin’s Top 10, but has been overshadowed by the other highly touted prospects in the Dodgers’ system. Rios has had a great camp so far, with a .423/.464/.885 triple slash line in 28 plate appearances. Many minor-leaguers throughout baseball have put up shocking lines, but not many have grabbed headlines in the same way that Rios has. That's where Edwin Rios hits this one. A moment of silence for those baseballs. Rios has real power, as he’s hit more than 20 home runs in each of his two full minor league seasons since the Dodgers drafted him in 2015. 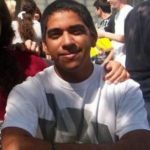 Rios will be 24 in April and finished last season at Triple-A OKC, so he could be ready to debut later this season. He may not have a position with the Dodgers moving forward since Cody Bellinger exists, but that bat should be appealing enough for Rios to be a piece in a major trade at some point this season. His strong spring is extremely promising, and if he continues to rake at the minor league level, he could have immense value to the Dodgers, one way or another.